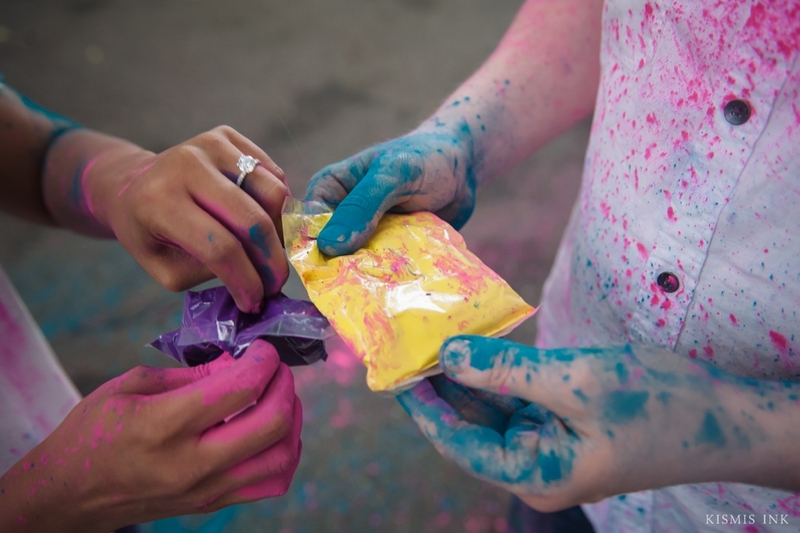 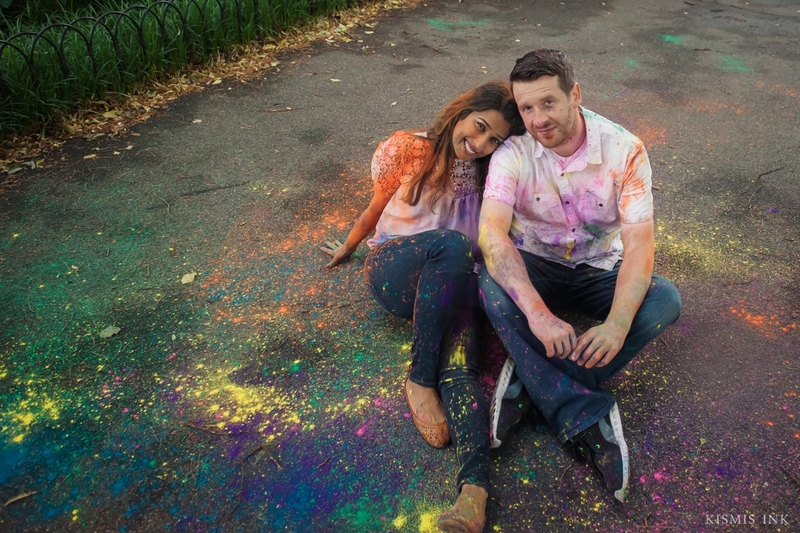 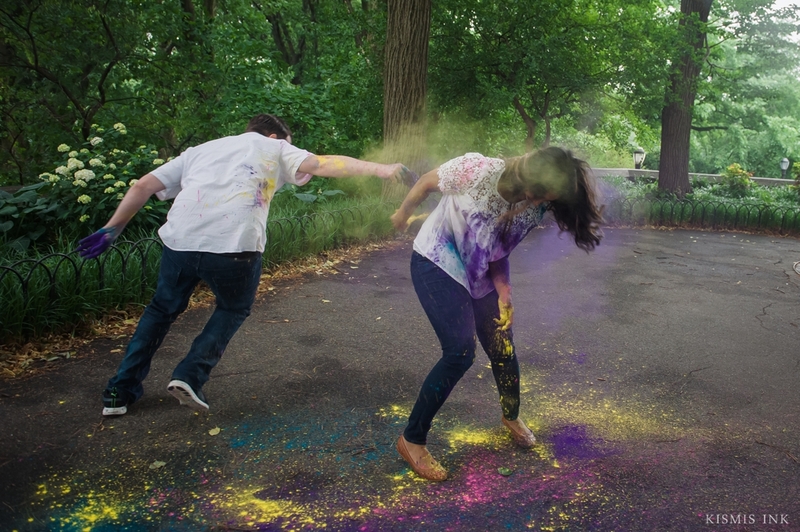 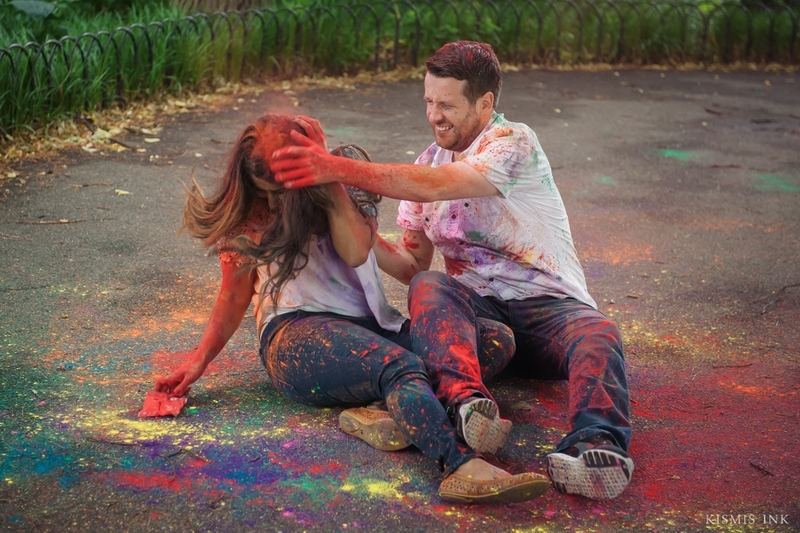 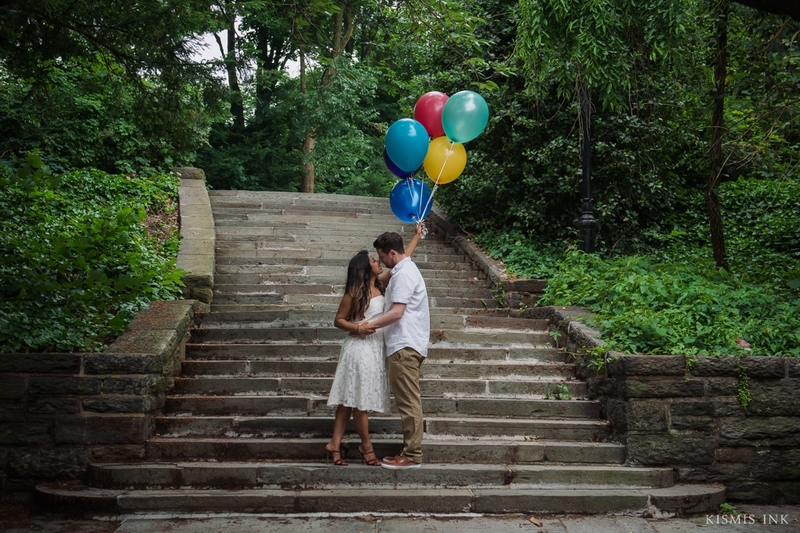 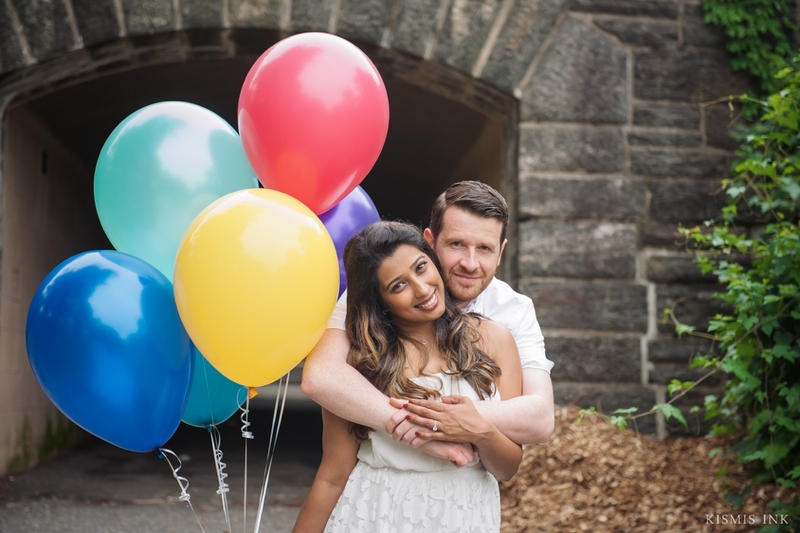 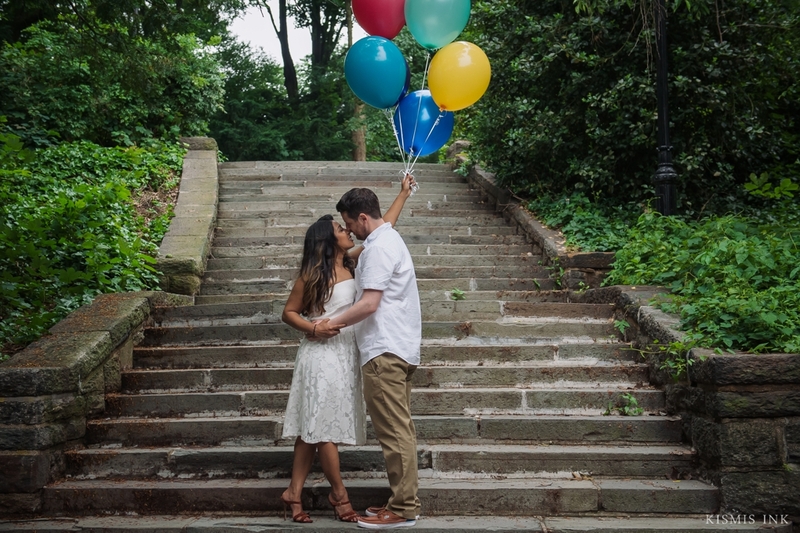 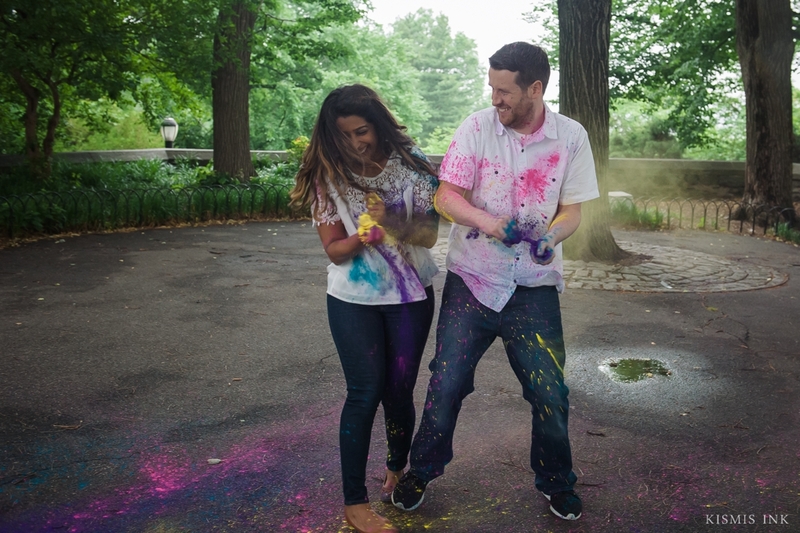 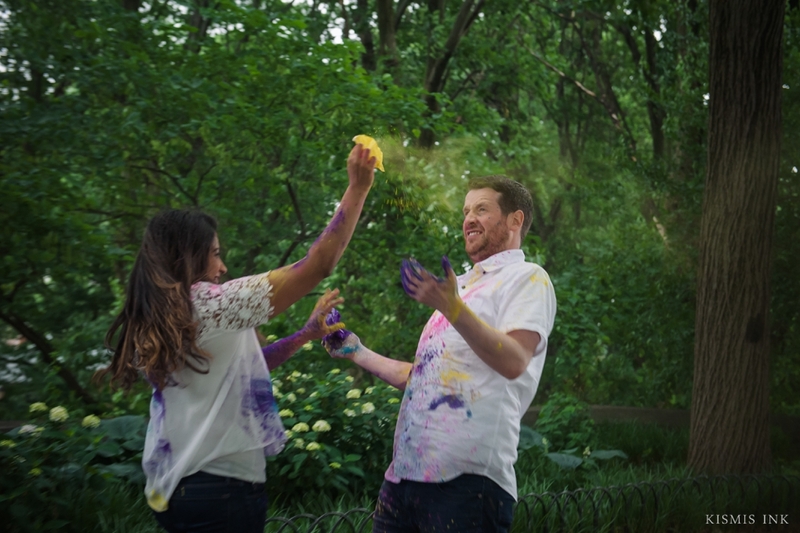 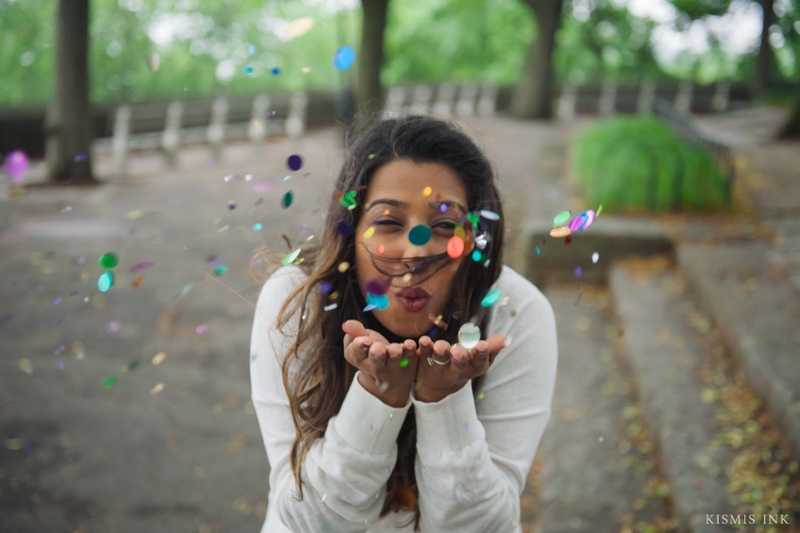 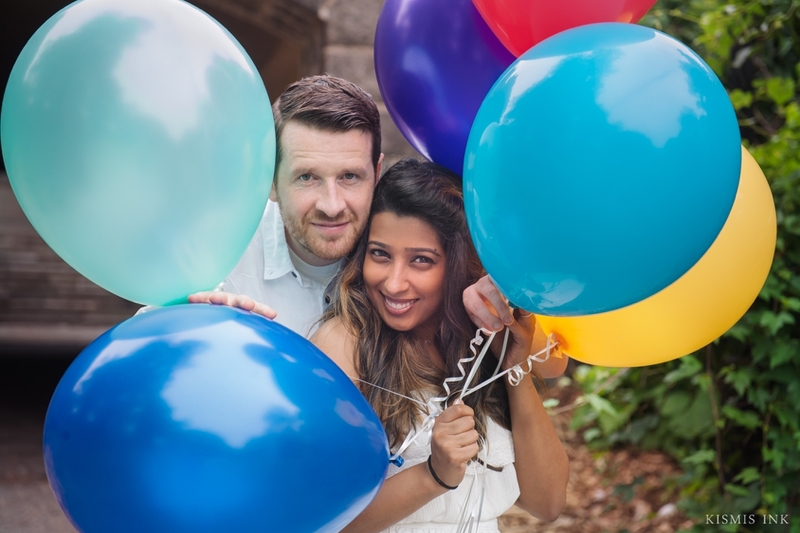 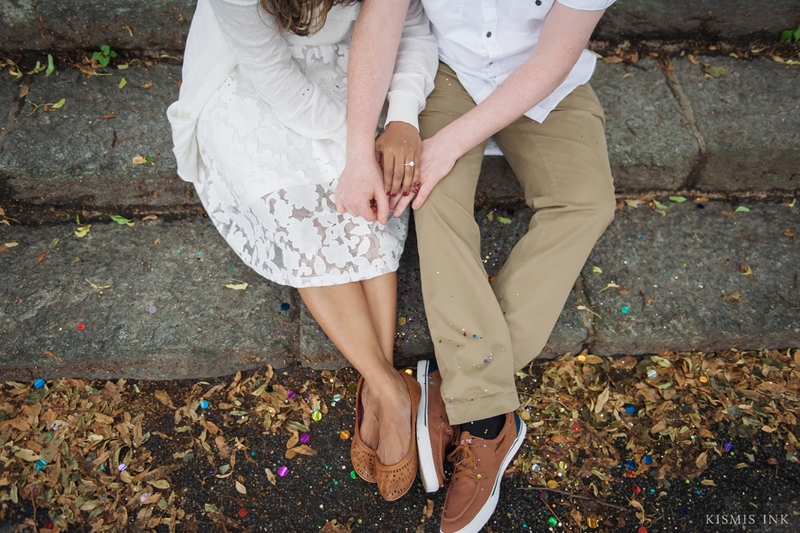 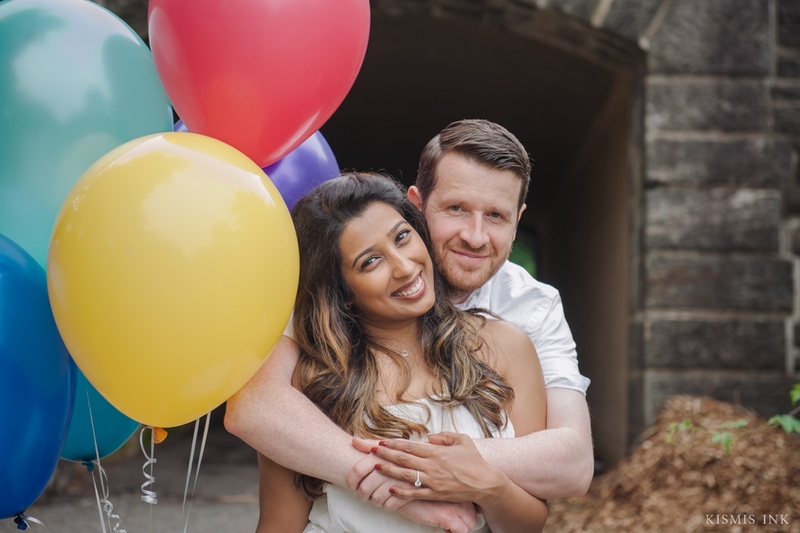 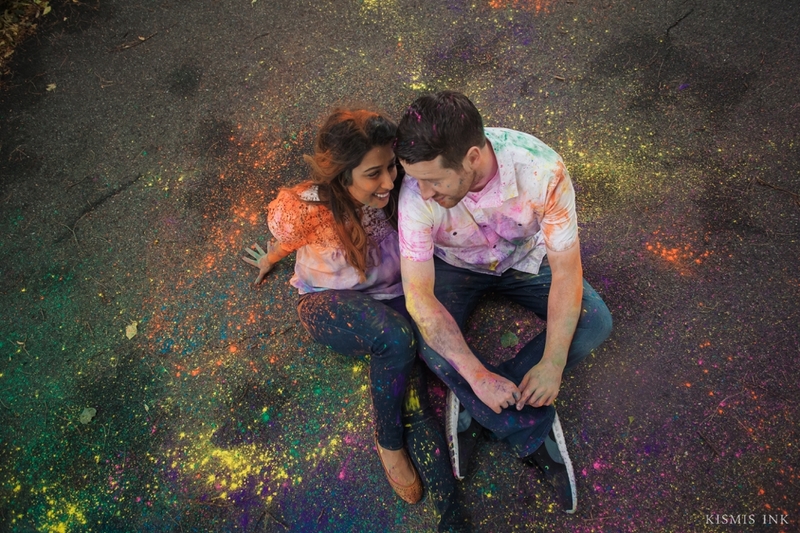 Confetti, Holi colored powder, and vibrant balloons filled Rina & Andy’s engagement shoot. 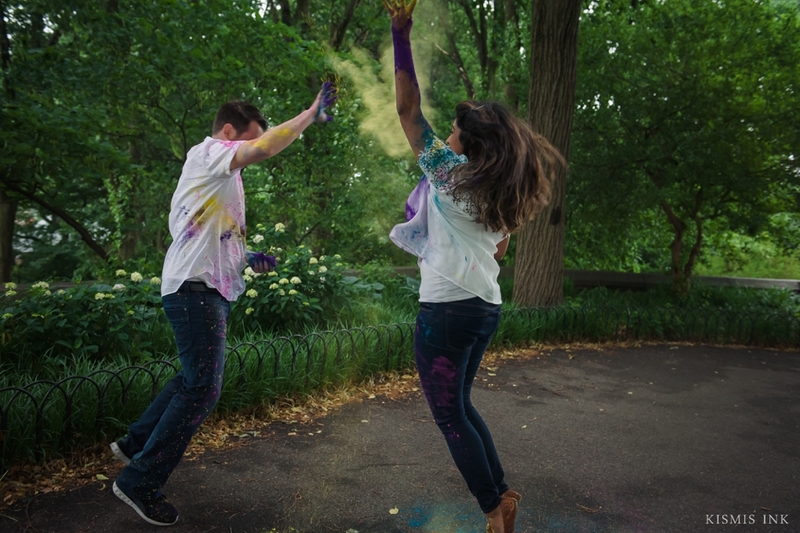 Rina’s ‘Color Of Our Love” idea was coming to life! 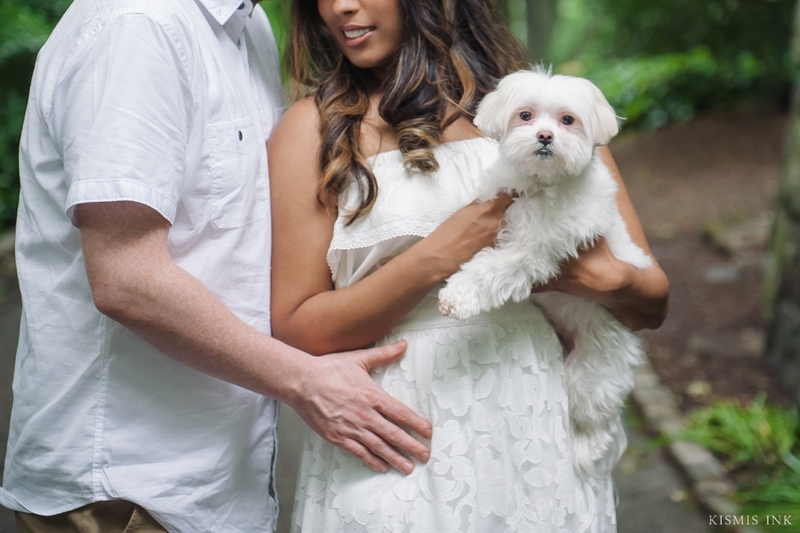 It was an afternoon adventure for everyone involved, including Rina’s adorable dog, Finley. 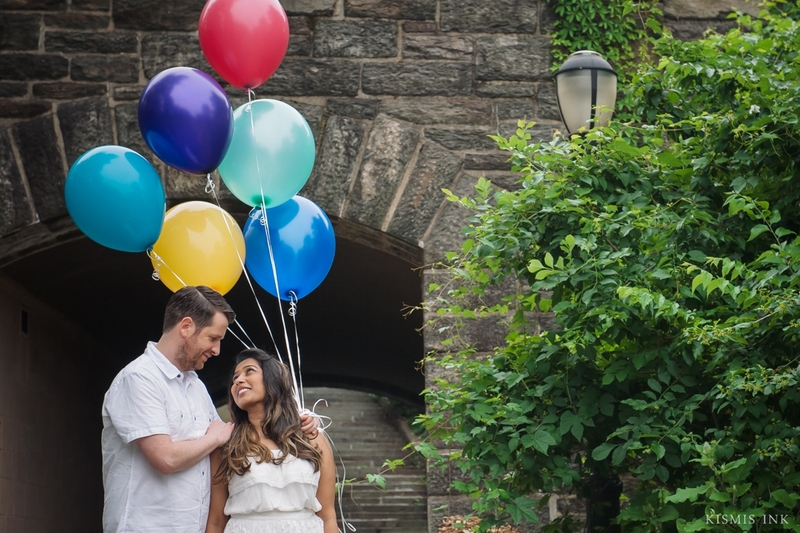 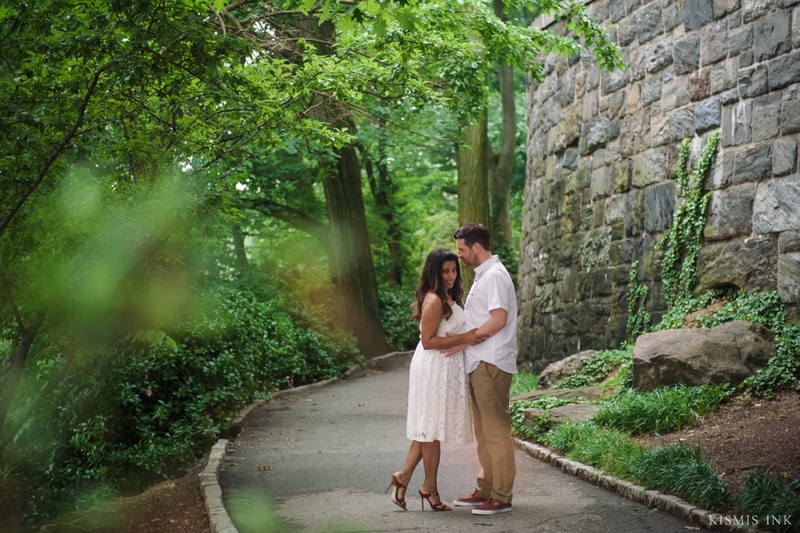 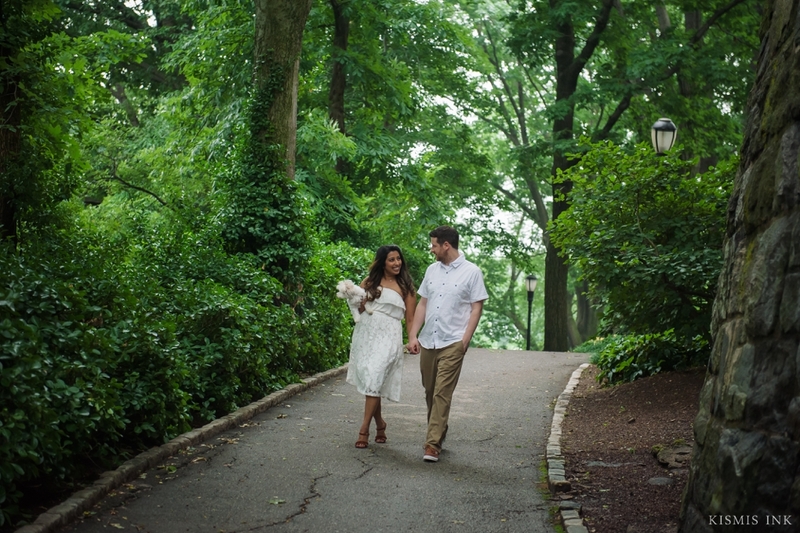 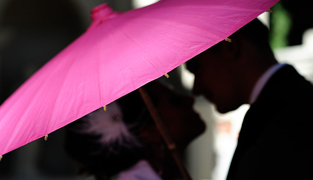 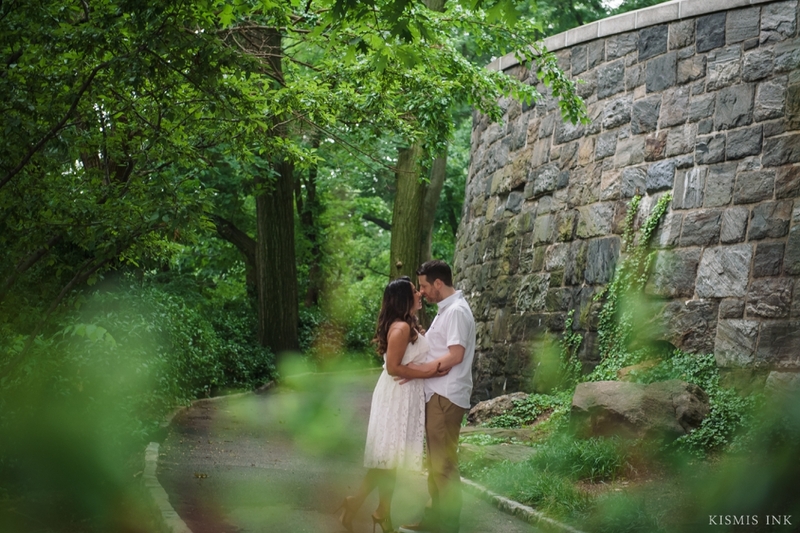 The New York windy and rainy weather was no match for Rina & Andy’s fun, cheerful personalities. 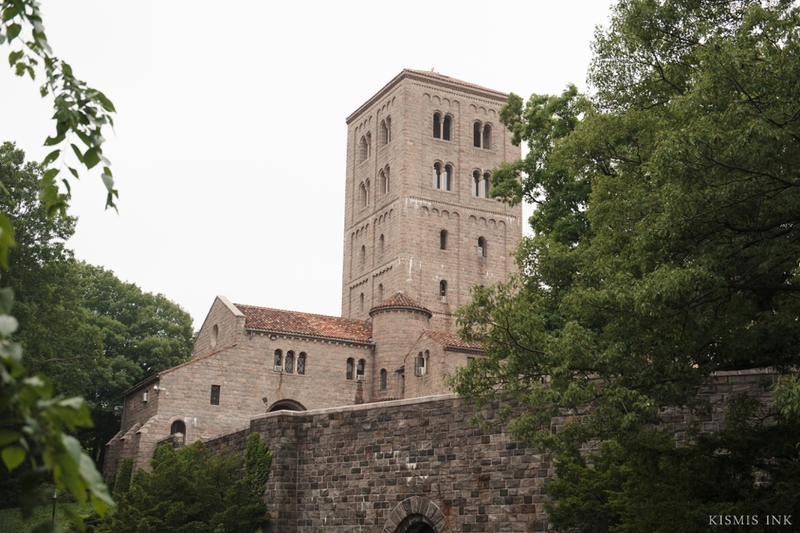 As we explored The Cloisters, the Metropolitan Museum of Art devoted to the art and architecture of medieval Europe, we were transported to twelfth through fifteenth century. 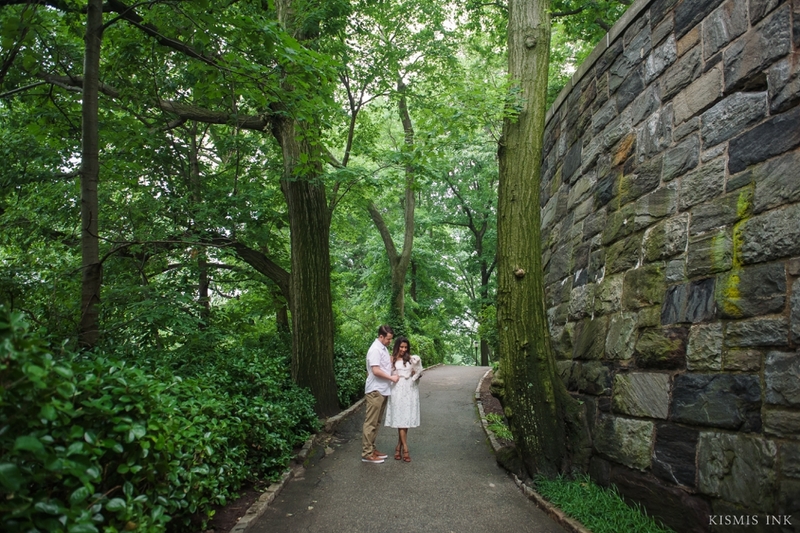 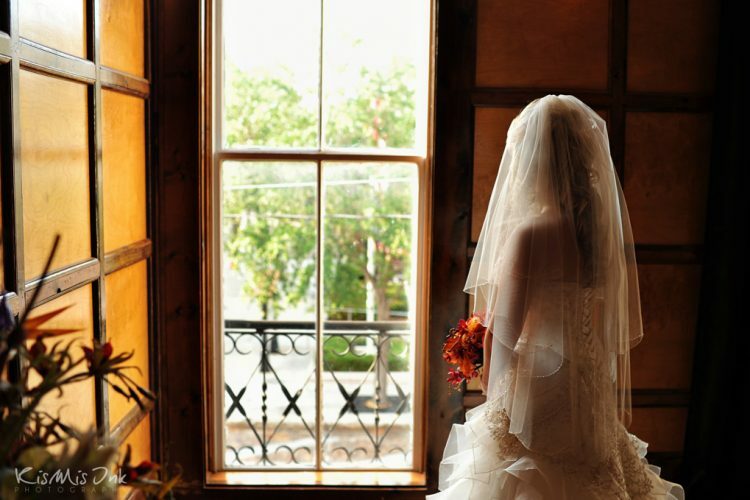 The historic grounds were breathtaking and a picturesque backdrop awaited us at every corner. 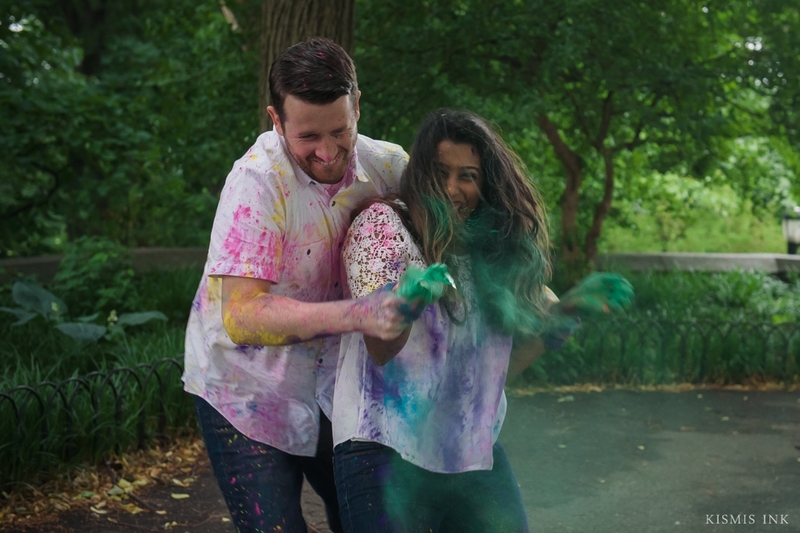 We couldn’t have had such a successful photoshoot without the help of Rina’s sweet friend, Deepika- from making sure Finley didn’t wander off through the gardens to throwing confetti on the adorable couple, she was a champion assistant! 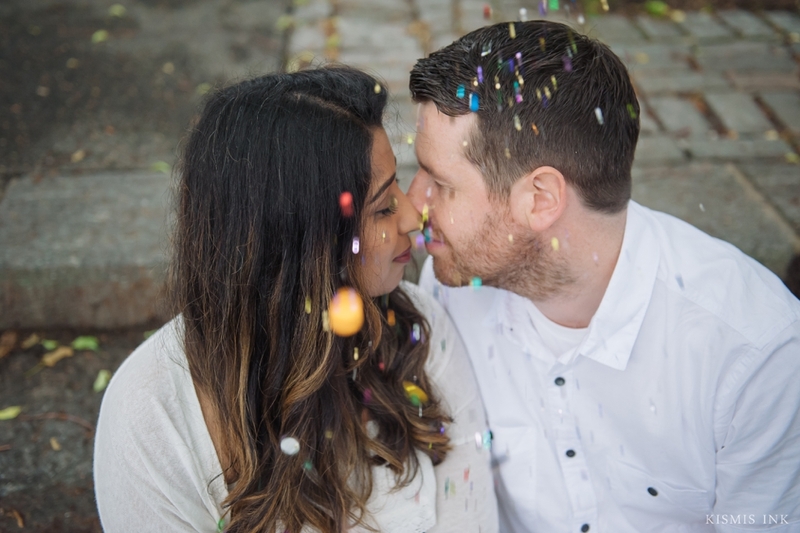 I first met Rina at Sagar and Anjali’s wedding a few years ago; she’s Sagar’s sister. 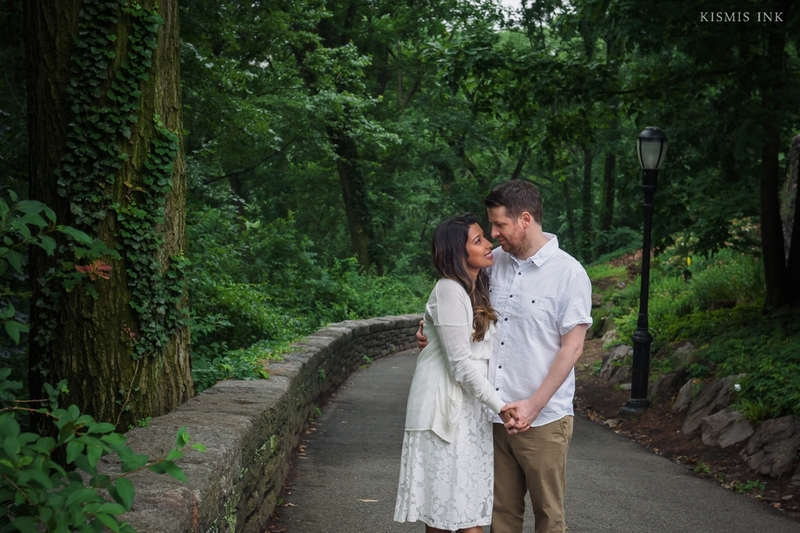 She is also a sweetheart; when she found out I was working on my #35to35 birthday bucket list, she helped me scratch “See my first broadway play in NYC” off the list and made sure I made it to the theatre in time to catch Mamma Mia! 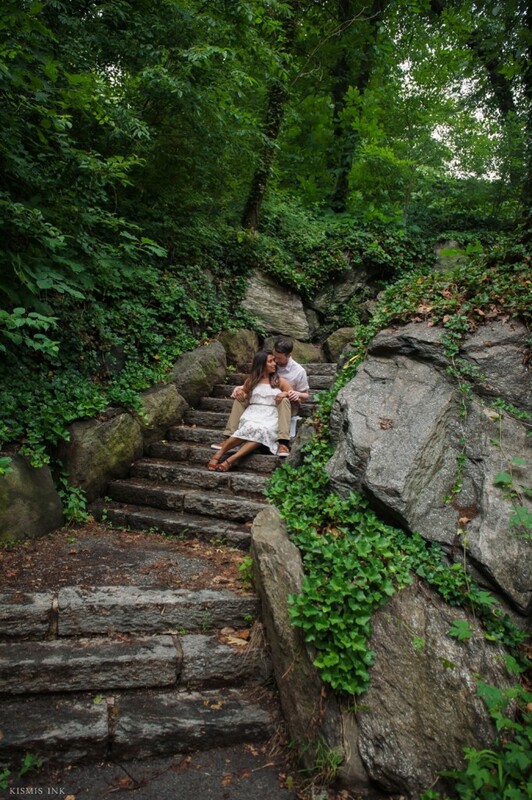 It was an incredible experience, and I have to admit I cried during Judy McLane’s performance of ‘Slipping Through My Fingers’. 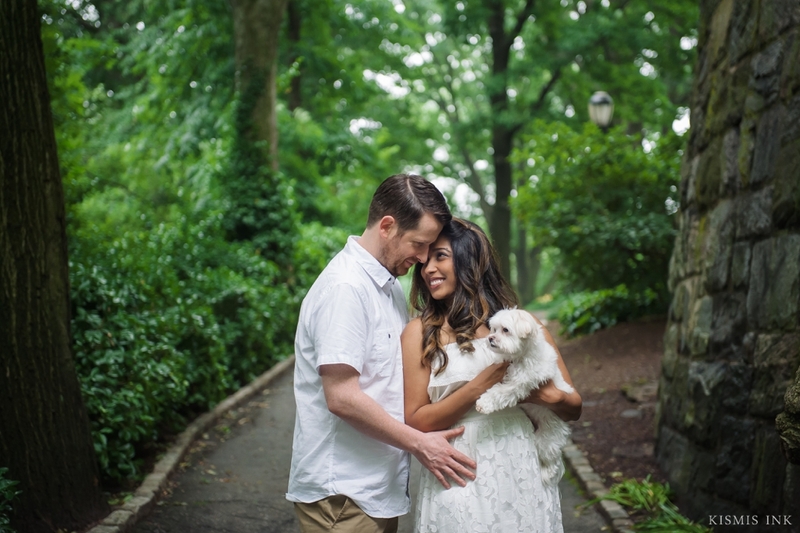 I can’t thank Rina and Andy enough for sharing their afternoon with me and trusting my vision for their sweet portraits. 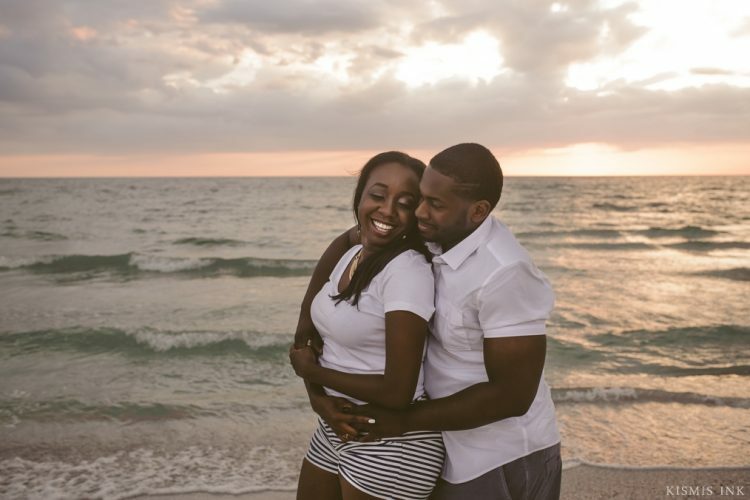 We can’t wait for their upcoming wedding weekend in Florida!